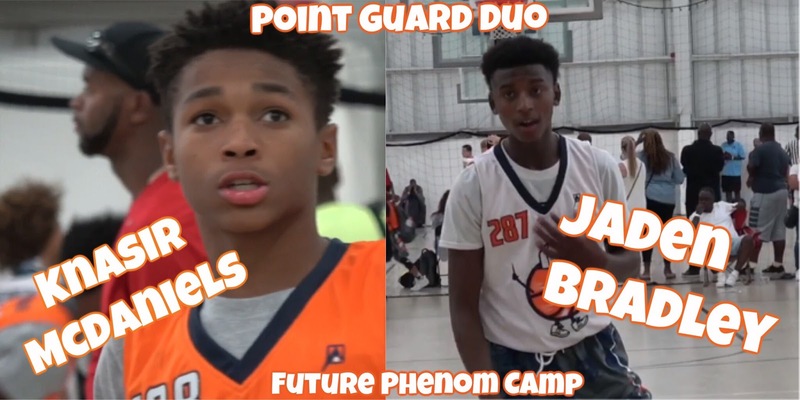 Knasir McDaniels & Jaden Bradley showed out at the 2017 Future Phenom Camp hosted by bballspotlight where the two matched up on day 1 and didn't disappoint. Bradley made it clear that he was the top point guard in the nation while McDaniels showed that he is right on his heels. Both with an extremely high basketball IQ and court vision, I enjoy seeing these two grow in the future. Stay tuned as Basketball Spotlight brings your more footage and recaps from the camp.